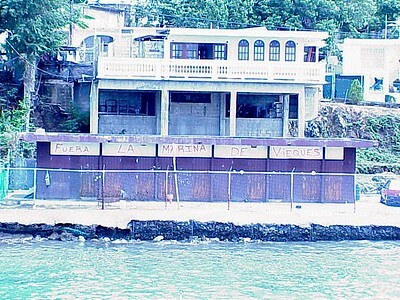 "Fuera la marina de Vieques" -- Navy leave Vieques -- is spray-painted on the side of a rust-colored quay on Vieques, Puerto Rico. The Rev. H. George Anderson (left), ELCA presiding bishop, the Rev. Donald J. McCoid, bishop of the ELCA Southwestern Pennsylvania Synod, Pittsburgh, and the Rev. 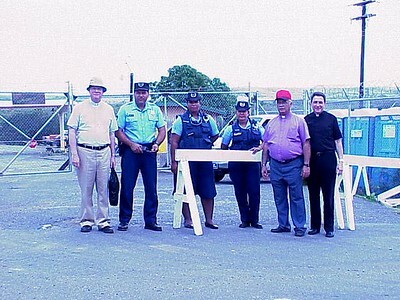 Francisco J. Sosa, bishop of the ELCA Caribbean Synod, Dorado, Puerto Rico, stand with three guards at the U.S. Navy's Camp Garcia, Vieques. More than a dozen crosses have been assembled near the entrance to Camp Garcia. 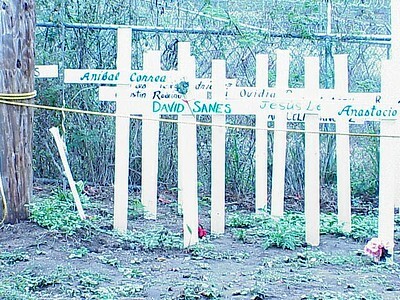 David Sanes, a citizen of Puerto Rico working as a guard for the U.S. Navy, was killed in a bombing accident on Vieques in April 1999. 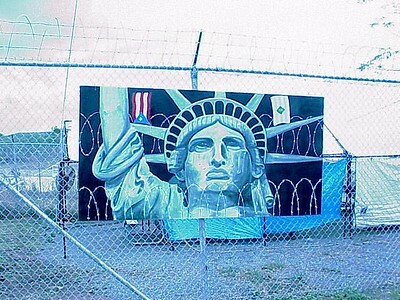 The painting, depicting the Statute of Liberty weeping, hangs on a fence at Camp Garcia. The fence separates U.S. Navy and civilian land on Vieques. The Rev. H. George Anderson (left), ELCA presiding bishop, Chicago, chats with Dr. Juan Fernandez, special commissioner to Vieques. 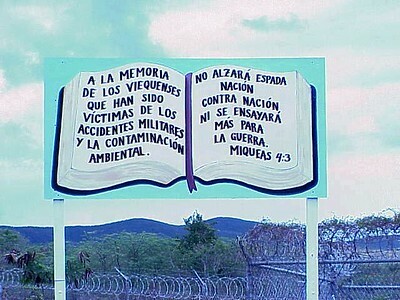 The sign, erected near the entrance of Camp Garcia, Vieques, says, "In memory of those Viequenses who were victimized by military accidents and a contaminated island." The text on the right is a verse from the book of Micah: "Nation shall not lift up sword against nation, neither shall they learn war anymore." According to Eva del Mar Emeric, a university student from Vieques, the economic crisis and the lack of job opportunities on the island keep her and other students from returning to the island after graduation. 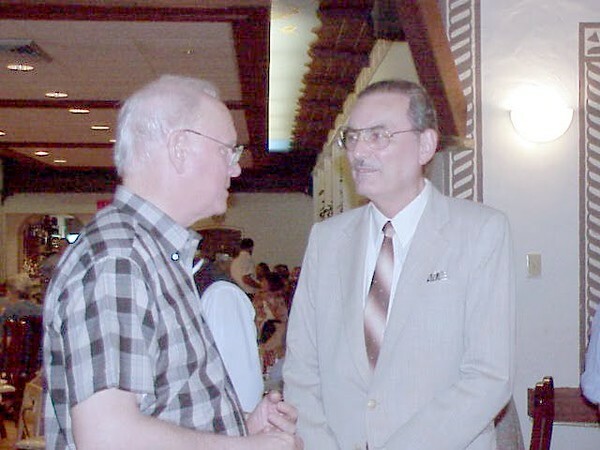 According to Dr. Rafael Rivera Castano (lef), Vieques, a retired epistemologist and professor at the University of Puerto Rico, Rio Piedras, there is a large incidence of cancer among people on Vieques. 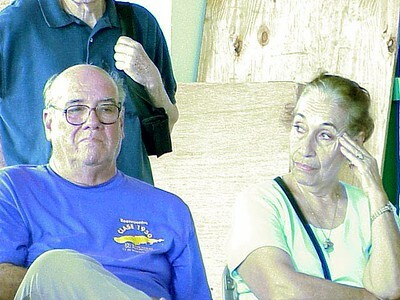 Mirna Pagan (right) is an artist living on Vieques. 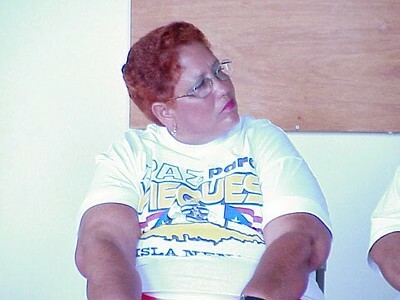 Myrta Sanes is a resident of Vieques. Her brother, a Puerto Rican guard working for the U.S. Navy, was killed in a bombing accident on Vieques in April 1999. 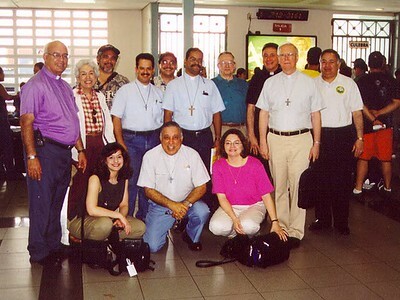 The Lutheran delegation visited Vieques on March 23. It included clergy, lay leaders and staff of the ELCA from across the United States and Caribbean.